Only three (3) of the five (5) neophyte senators and their respective staff attended an orientation at the Senate today, 27 June 2016, three (3) days before they officially assume office on 30 June 2016. Present Senators-elect were Risa Hontiveros, Sherwin Gatchalian and Joel Villanueva, who all have experience in lawmaking as former members of the House of Representatives. The Senate secretariat briefed the incoming senators about the legislative work in the chamber, including maintenance, security and their salaries. 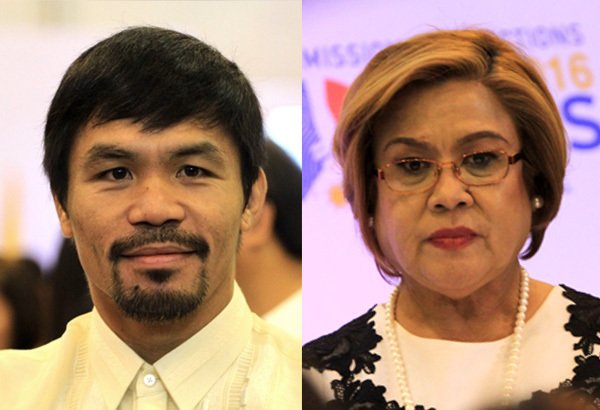 The two other neophytes who did not participate in the orientation were Senators-elect Leila de Lima, former Justice Secretary, and Manny Pacquiao, who was also a Congressman before winning a Senate seat last 09 May 2016 elections. De Lima said she was not able to attend the hearing, citing a conflict in her schedule. “I was previously briefed, one-on-one, by a Senate official". De Lima added.